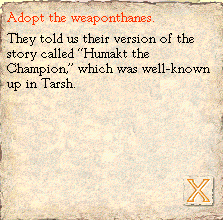 We're now up to 15 weaponthanes. Go us! A band of wandering musicians requests permission to play at your clan market. Their representative is a beastman who introduces himself as Hairball, and speaks Tradetalk as well as it can be spoken. "My master, Bundalini, promises an exciting and remarkable performance, one that will bring other clans from all over Dragon Pass. You will prosper from all the trade opportunities, and our fee for playing is a very reasonable ten cows. An opportunity to hear Bundalini's All-Skeleton band comes only once in a generation!" 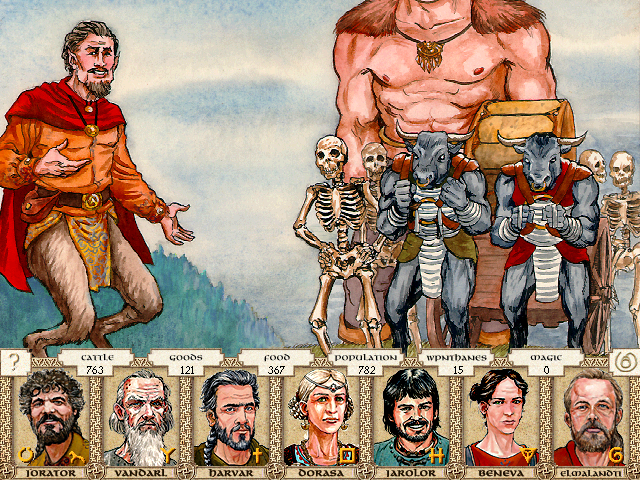 In addition to Bundalini the giant, the party includes two minotaurs and a host of walking skeletons. Although they are not Orlanthi, this Hairball creature knows the correct greetings. Perhaps, if we allow them to play for us, they will behave properly. A worse blasphemy I cannot conceive of! Another clan might thank us for sending this band to them.